I ran this buckshot at a shotgun training class a few months ago. One of the drills involved shooting buckshot from 3, 5 and 7 yards. I was shooting with my Benelli Supernova Tactical which has a cylinder fixed 18.5" barrel. From 3 and 5 yards, people thought i was shooting slugs! At 7 yards the group just opened to see that i was not using slugs but some very special buckshot! I have shot other brands too, however there is no comparison whatsoever! This technology works!!! These 00 Buck shells are amazing. 10, 15, 25, and 50 yard performance from both pump & semi-auto Mossberg 18.5" barrels was astonishing. No malfunctions. 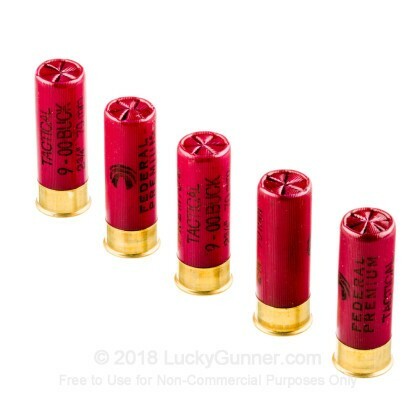 My go to ammo when I want tight patterns out of my guns. This ammo resides in the magazine tubes of my home defense shotguns. 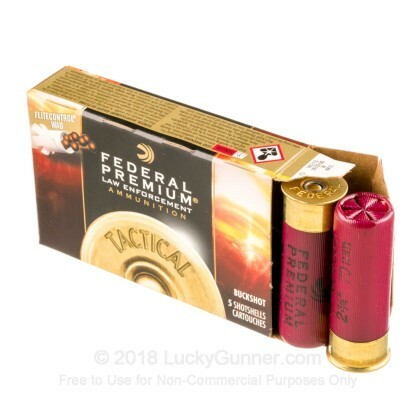 I purchased these rounds to test alongside several others made by high end ammunition companies. 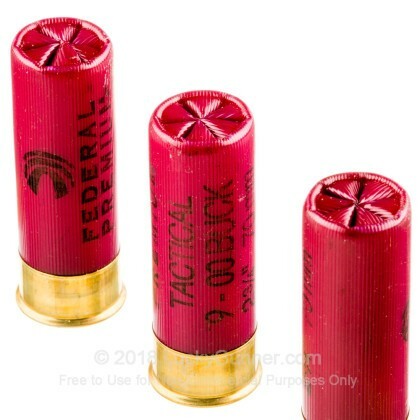 I tested these with the Federal Vital Shok 00 Buck rounds as well as with Hornady TAP and Critical Defense offerings. While all others performed well enough to serve any home owner or Police Officer for self defense, the Federal Tactical LE with Flite Control was superior with regard to tightness of pattern at "hallway distance". 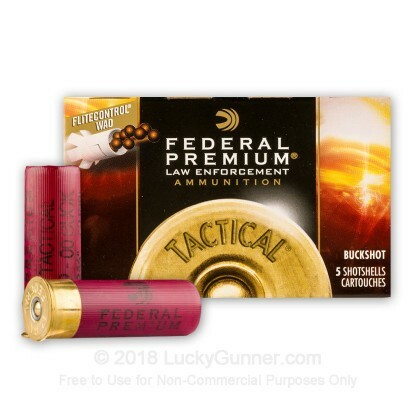 Flite Control buckshot holds the tightess patterns I've ever seen out of a open cylinder 18.5 barrel. Head size groups at 25 yds and even up to 50 yds pellets group better than most brands can group at only 12 to 15 yds. Two shots taken at 25 yds put 15 pellets out of 18 into a head size target. Try some, these are great shells. 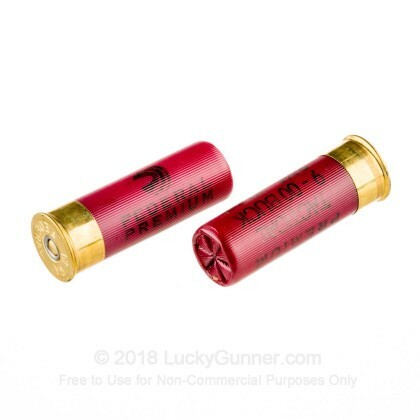 Q: Can you shoot these shells out of a Remington 870 express with a 28” barrel? A: These will work well out of that 28" barrel. The inclusion of the Flite Control wad will deliver nice patterns as well out to a fair distance. Thanks and have a great day! 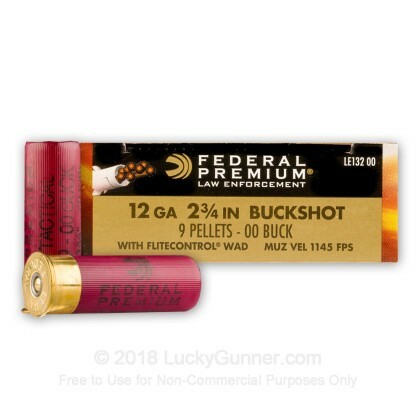 We also have this 12 Gauge - 2-3/4" 00 Buck 9 Pellets - Federal Tactical LE with FliteControl Wad - 250 Rounds ammo in stock in a bigger quantity.